Donna Dawson achieved her master gardener certificate in 1995, through the University of Alberta Devonian Botanic Garden. 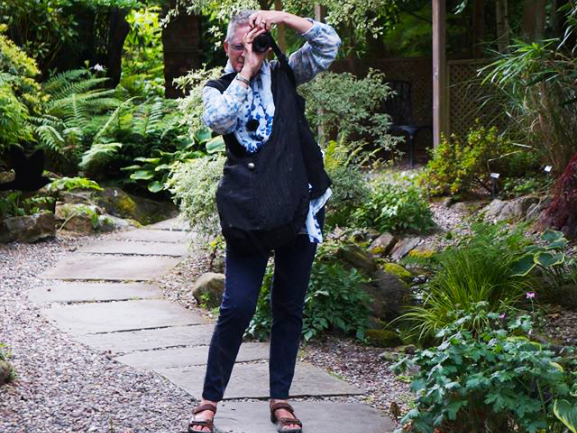 She is a current member of the Royal Horticultural Society as well as the Garden Writers Association and member of the North American Travel Journalists Association. Donna has been featured in numerous gardening magazines including Homemaker’s, Gardener for the Prairies, Gardens West, Canadian Gardening, Lifestyles +55 and Gardening Life, as well as local newspapers and Internet sites such as Familywave.com and iParenting.com. She is part of the expert panel at www.WorldReviewer.com with her specialty in gardens. She has also had the opportunity to provide photographs to European Homes & Gardens, BCAA and Doctor’s Review. Donna was the only outside writer for Tai Pan Travel magazine featuring gardens and plants from around the world and was also a writer for Vivir Bien, a lifestyle magazine out of the Republic of Panama where she talked about plants in tropical areas which she now calls home. Donna’s garden in St. Albert , Alberta , Canada , won many awards over the years including Best Cold Climate Garden in Canada from Canadian Gardening Magazine and has been featured both in articles as well as the cover of Gardens West Magazine. She was incredibly sad to leave her garden when she moved to Panama in 2006. From zone 3a to tropical, it has been quite the adjustment, but the plant material she sees now has opened up another world to her. While she does not have a garden, she does have a small balcony and the joy she finds when out on her garden tours. In 1998 Donna began organizing and hosting gardening tours to England and Europe . Her custom designed garden tours, which have included destinations such as Paris, London, Amsterdam, Belgium, Nice, Florence, China, Ecuador, Turkey, Argentina, Portugal, Singapore, Bali, Spain, South Africa, and Dublin as well as flower shows in Florida, Chelsea, and the Hampton Court Palace Flower Show, change yearly due to repeat guests. The tours have become well known for bringing gardeners together to share in the joy of seeing how others garden and to go home with both great memories and new found friends.